VelaShape™ is an FDA approved, non-invasive treatment proven to smooth the appearance of cellulite. VelaShape™ is an FDA approved, non-invasive treatment proven to smooth the appearance of cellulite by using radio frequency and light energies. Along with gentle suction and a massaging action, VelaShape precisely targets and heats fatty tissues within a selected treatment area. Treatments feel similar to a heated deep tissue massage with results that leave the surface of the skin significantly smoother. VelaShape is most effective on the belly, thighs, buttocks, hips, waist and love handles and offers a safe and comfortable way to contour and smooth the body in as few as four treatment sessions. A thorough consultation is an important first step when deciding if VelaShape is the best option for you. One of our board certified surgeons will discuss your desired results, examine you and provide an honest, professional opinion on how best to achieve those results. We also make certain that you are a good candidate for VelaShape, taking into account your age, health, medical background and other factors that could affect the safety and effectiveness of your treatment. All of our consultations are conducted with the goal of making sure our patients feel comfortable, confident and informed about VelaShape. On the day of your appointment, we suggest wearing comfortable clothing that allows excess to the treatment area. You will need to shave any hair on the treatment area prior to your visit. VelaShape technology utilizes radio frequency in combination with light energies to precisely target fatty chambers beneath the skin. Gentle suction and a massaging action are used to create a smooth skin surface. Patients often report a feeling similar to a heated deep tissue massage. Treatment sessions typically last 20 to 40 minutes depending on the size of the treatment area. One session per week is recommended for a total of four to twelve weeks. VelaShape is completely non-invasive with virtually no pain and no downtown. Your skin may appear red for several hours after treatment, and it is normal to experience a warm sensation for a few hours. We recommended that you drink at least eight ounces of water after your treatment. You can return to your normal activities immediately. While results vary based on the individual, VelaShape is highly effective at smoothing away cellulite and leaving smoother, tighter treatment areas. Improvement can be seen following the first treatment, but the most optimal results become apparent six to eight weeks following the first treatment. Once your initial round of treatments are complete, maintenance treatments are recommended every one to three months. Results are long lasting with a healthy diet and exercise. During your consultation, your doctor will thoroughly explain what results to expect. Q: Is VelaShape right for me? If you want to smooth away cellulite from around your belly, thighs, waist, hips or other problem areas, VelaShape may be the right option for you. VelaShape is effective on all skin types and complexions. The best VelaShape candidates are men and women within ten pounds of their recommended weight or body mass index who are in relatively good shape and exercise regularly or semi-regularly. VelaShape is not an effective treatment for obesity and is not a replacement for a healthy diet and exercise. VelaShape candidates must be in good health and have no pre-existing medical conditions that could create complications. Q: Why choose RTH Plastic Surgery for my VelaShape treatment? When choosing a cosmetic doctor to perform VelaShape treatments, there are three important qualifications to consider: training, experience and personal attention. 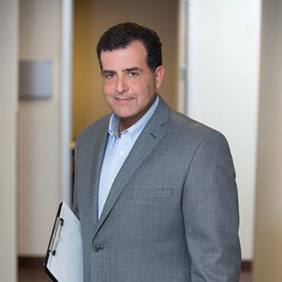 Dr. Hajjar was one of the first doctors to offer VelaShape in the area, and he continues to be one of the most sought after doctors to perform the treatment. All of our RTH doctors have years of experience performing VelaShape treatments and spend the necessary time with every patient to answer any questions and address any concerns about the VelaShape process. We make it a priority to ensure our patients are well-informed and completely comfortable with their decisions. We know that your time is valuable, which is why we maintain an efficient treatment calendar and use the latest techniques and technology to minimize your recovery time and maximize your results. Q: Will my insurance cover VelaShape? Insurance companies commonly do not cover an elective or cosmetic treatment like VelaShape unless it is performed to correct a medical or health condition. If you plan to use insurance as payment, we strongly suggest consulting with your provider to discuss if the treatment is covered in part or in full by your current plan. Q: Will my VelaShape results look natural? VelaShape is a non-invasive technique, thus eliminating the possibility of scarring or any other signs that a treatment was performed. Results are soft, natural and improve over time, so you don’t have the instant, dramatic change that you would have with a surgical procedure. While results vary based on the individual, we focus on creating the most natural results possible. During your consultation, your doctor will thoroughly explain what results to expect. The longevity of results varies and is dependent on the amount of excess fat, the laxity of the skin and skin type. Typically, you can expect VelaShape results to last as long as you maintain your weight and a healthy lifestyle with proper diet and exercise. Q: What are the risks of VelaShape? VelaShape is FDA approved and proven to be a safe and effective treatment for all skin types with minimal risks. VelaShape does not affect or damage surrounding skin or tissue near a treatment area. Your skin may appear red for several hours after treatment, and it is normal to experience a warm sensation for a few hours. We are happy to explain in detail any of the risks and possible side effects prior to your treatment. We carefully review your complete medical history and all medications you are on to prevent any complications. Q: Can I have additional procedures in combination with VelaShape to enhance results? Yes, your RTH doctor can recommend additional services to enhance your desired results such as liposuction or CoolSculpting. RTH also offers the option of combining your VelaShape treatment with a laser skin resurfacing treatment, which promotes collagen growth under the skin for a smoother, more youthful appearance.